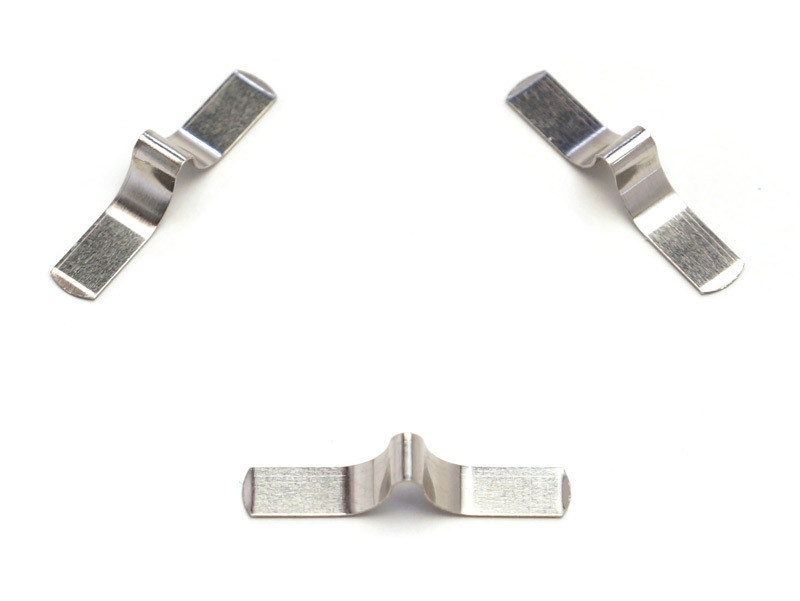 This stainless steel wire protector spring is used within a terminal block for the electrical industry. Our superior straightening and forming methods gave us an edge over our competitors to hold the required tight tolerance os +-.003. We began by custom designing and building tooling specifically for the customer's project. Utilizing a Bihler RM 35 stamping and forming machine, we stamped and formed the .848" long, .145" wide, .178" high and .008" thick springs. After stamping, the 301 stainless steel springs were heat treated, inspected, tested and shipped to the client's Bowling Green, Ohio location. For more information about this stamping project, see the details below. If you want to learn about our other services, please contact Superfine today. 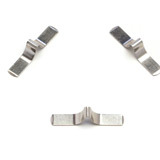 This stainless steel wire protector spring is used within a Terminal Block application.